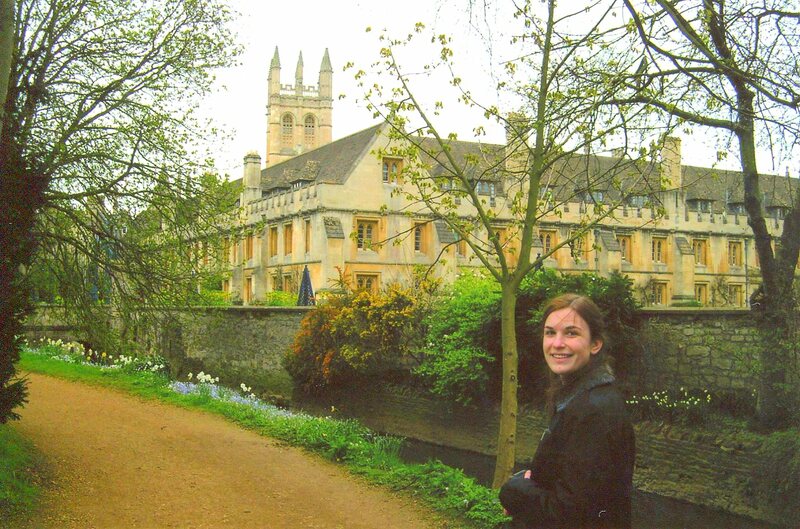 Magdalen College Oxford | The Happy Wonderer ~ ellen b. The word Maundy is derived from the Latin word for “command.” The “Maundy” in “Maundy Thursday” refers to the command Jesus gave to the disciples at the Last Supper, that they should love and serve one another. I’m posting this early during this Holy Week instead of waiting till Thursday. I took this photo 3 years ago at the Monumentale Cemetery in Milan, Italy. Today and this whole week Christians around the world remember the events that led up to the crucifixion of Christ and Christ’s resurrection over 2000 years ago. I always look forward to Easter week which is also called Holy week. Celebrating our risen Savior and what he accomplished for us tops my list! The Last Supper and the Washing of the Disciples Feet are both remarkable events. 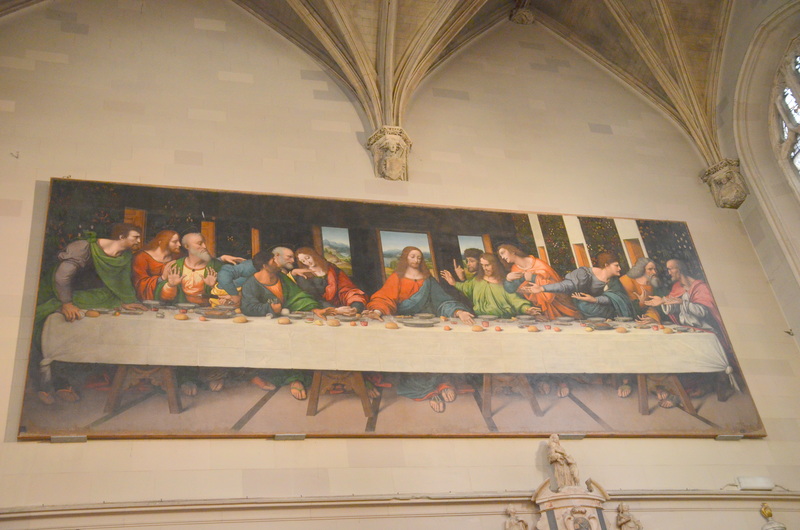 While in Milan I was also able to see Leonardo da Vinci’s mural of the Last Supper. 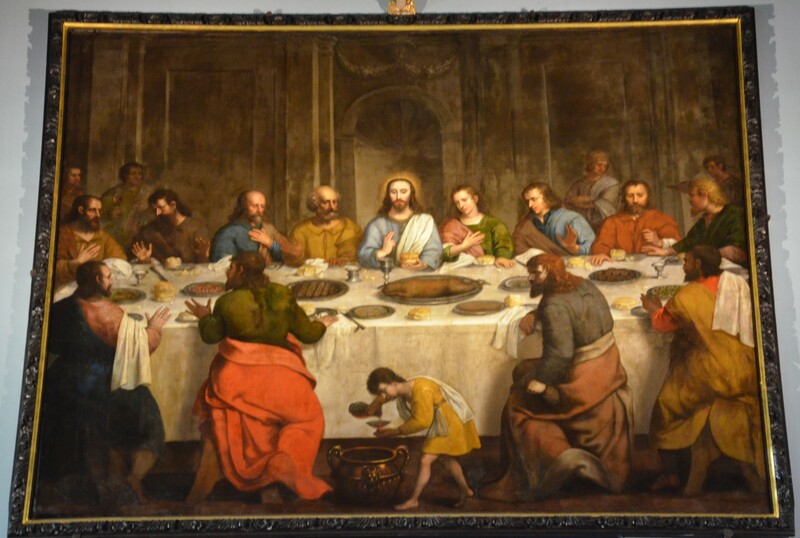 The original mural is on a wall of the refectory (dining hall) in the Convent of Santa Maria delle Grazie in Milan, Italy. No photos allowed. 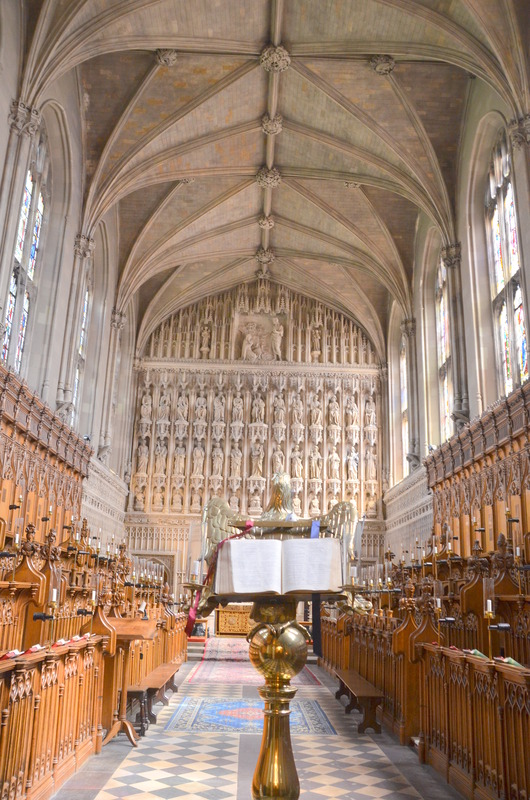 While in England in 2014 we saw two amazing paintings of the last supper, one in the Parish Church of St. John the Baptist in Windsor and one in the chapel of Magdalen College. 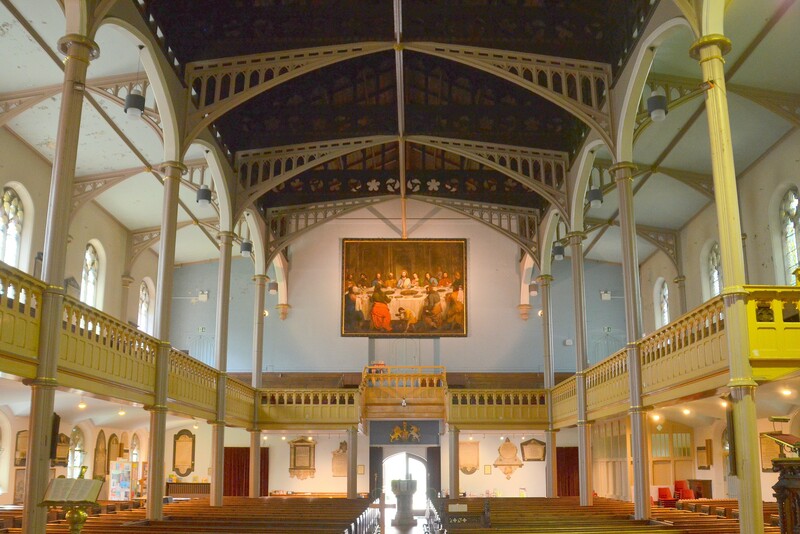 From the Lectern, look down the centre aisle and observe in the West Gallery a painting of The Last Supper. This is a national treasure. The picture was originally presented to the Royal Chapel c. 1660 by Brian Duppa, Bishop of Winchester, Prelate of the Order of the Garter. It was “bought by him beyond the sea”. Another tradition ascribes it to Franz de Cleyn (1588-1658), Rostock, Mecklenburg, Court painter to James I. It was rolled up and buried “in the plumery” (plumbers workshop?) in the Great Rebellion. It hung over the altar at St George’s, Windsor in 1702, and can be seen there in Sandby’s drawing dated 1786. 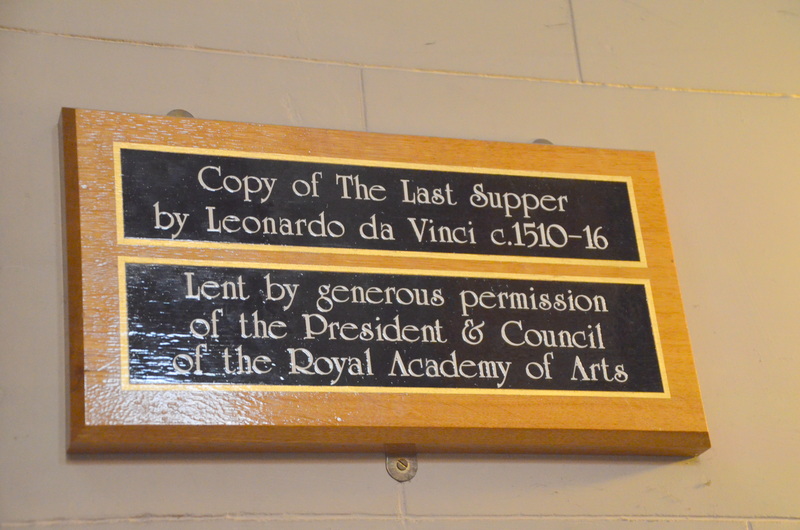 Above the stalls in the chapel hangs Giampetrino’s remarkable 15th copy of Leonardo da Vinci’s The Last Supper, on permanent loan from the Royal Academy. 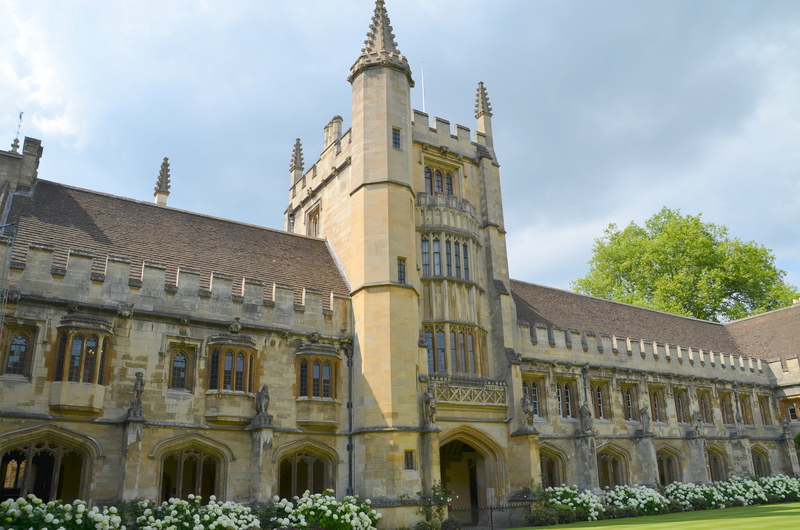 In view of the bad condition of the original fresco in Milan, Magdalen’s copy on canvas is a piece of increasing historic and artistic significance. 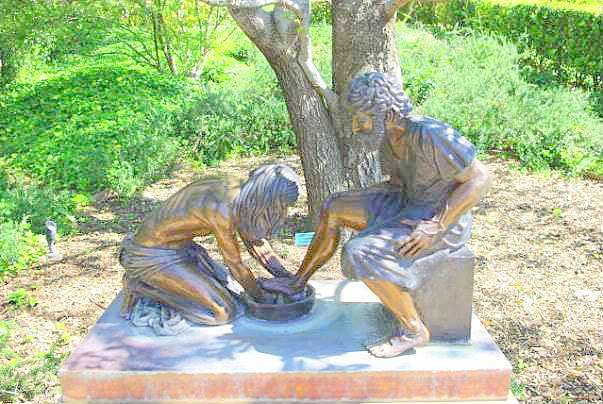 This next sculpture of Jesus washing Peter’s feet is at the Gardens of the World in Thousand Oaks, California. I took this photo while Dear and I were living in Camarillo. I’m not linking up to memes for the remainder of this week as I concentrate on getting ready for our Easter celebrations and have less time to visit participants. I was so sorry to see the news reports of the terrorist attack in Belgium and the murder and injuries suffered by so many people by radical Islamic terrorists. People who were just going about their day to day activities were brought down by Isis. Praying the Isis terror cells in Belgium will be found and justice will be dealt. Such a contrast to our Maundy Thursday message. 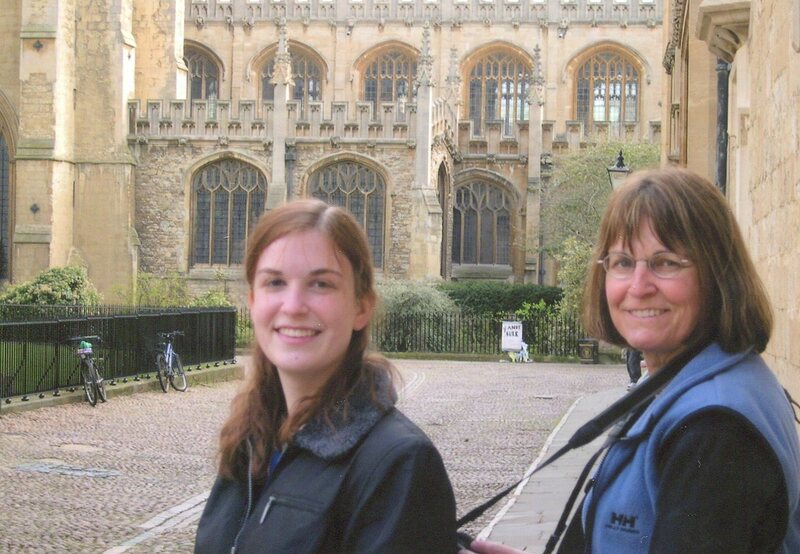 For our daughter Katie’s high school graduation, Dear and I took her to Great Britain in April of 2004. Katie is a reader, a learner, a writer, a poet and an artist. We asked her what she’d want to see and she came up with the brilliant idea of following some of her favorite authors and characters around the Isle! 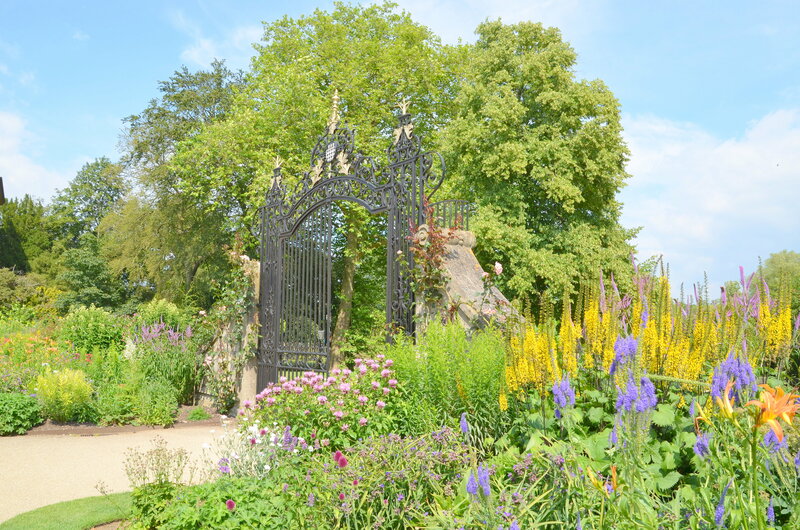 This is a photo log of our trip that we can highly recommend to all lovers of Hobbits, Inklings, Literary Giants, 19th Century England, Harry Potter, and wacky Holy Grail enthusiasts! For my flashbacks I’m going to cover less ground in each post. 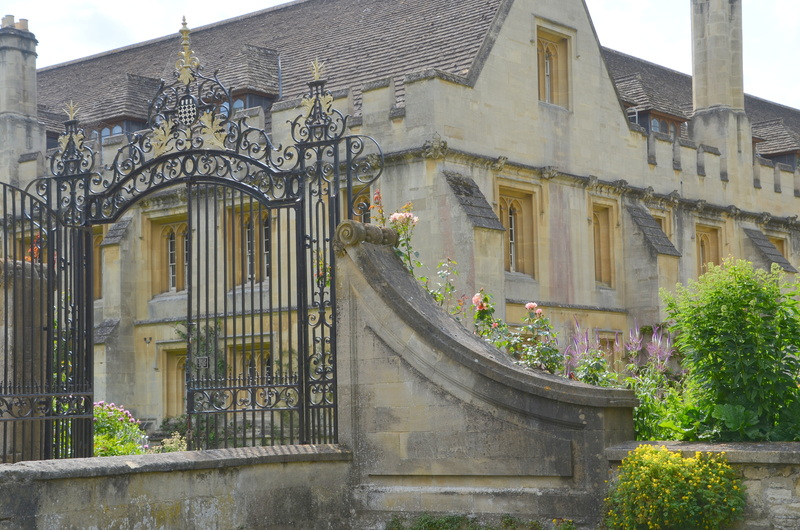 This first post will be our Oxford experience with C.S. 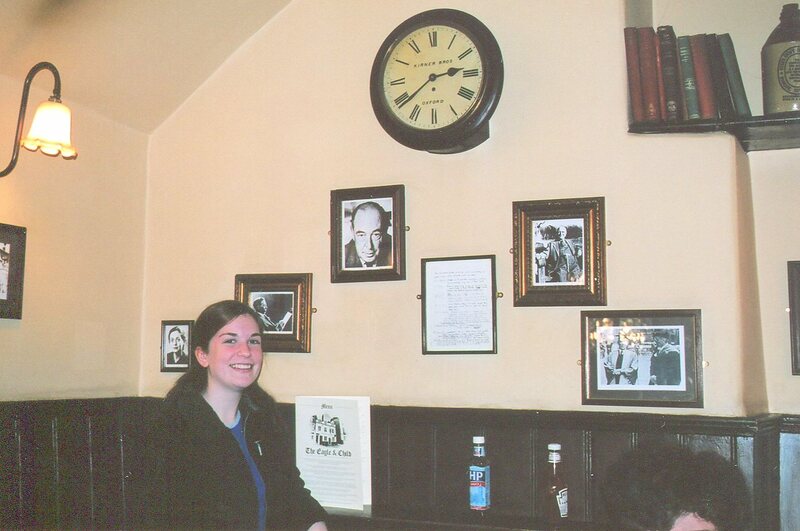 Lewis and Tolkien on our radar. The photos on this trip were taken the old fashioned way with a camera that was still using film! 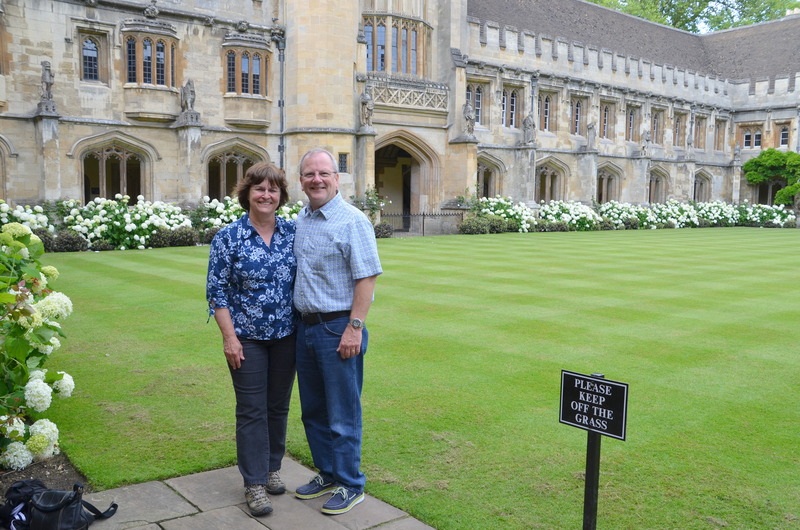 We set out from our first B & B base in Cheltenham to tour Oxford. We were still getting over our jet lag just arriving the day before. 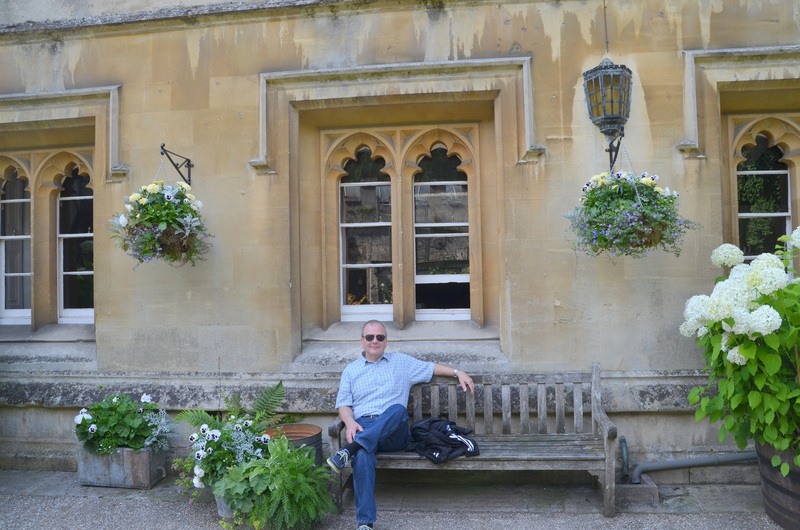 We found a park and ride outside of Oxford and rode a bus into town. 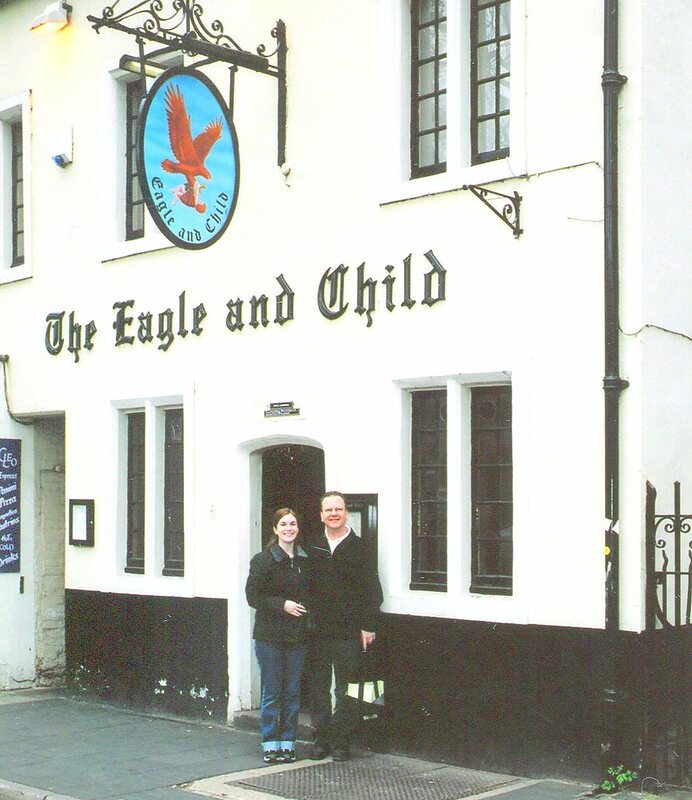 Our first stop was The Eagle and Child (The Bird and the Baby) where the Inklings would meet and discuss their current writings, thoughts, etc. Dear and Katie on Addison’s Walk. 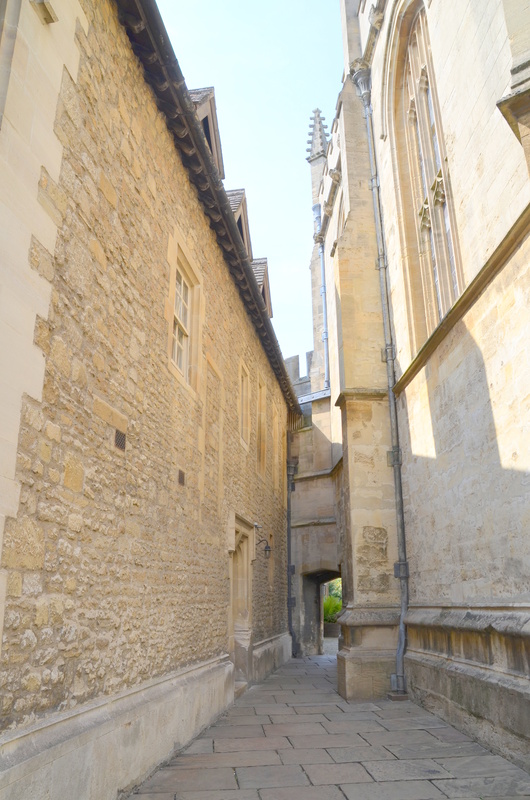 This walkway is on the grounds of Magdalen College (pronounced Maudlin) where Tolkien and Lewis would walk and have long conversations, after which C. S. Lewis converted to Christianity. We found it, walked it and reflected on the beauty and wonder of it all! 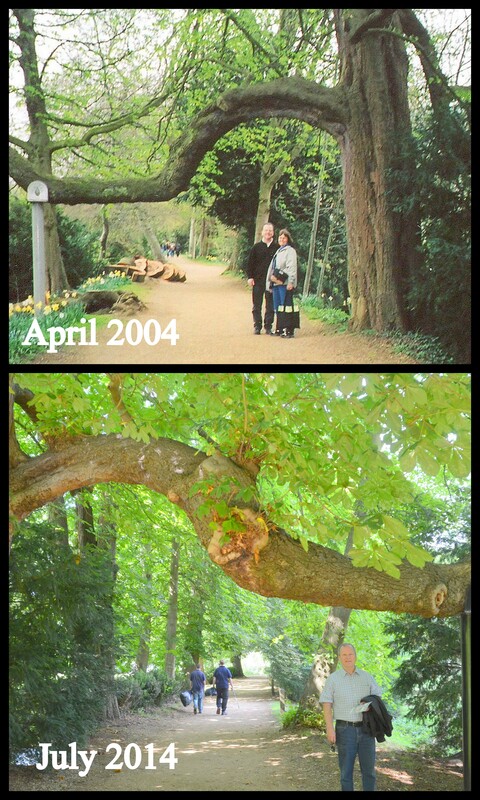 This next photo shows a spot on the walkway that we took a photo from different directions in 2004 and in 2014. 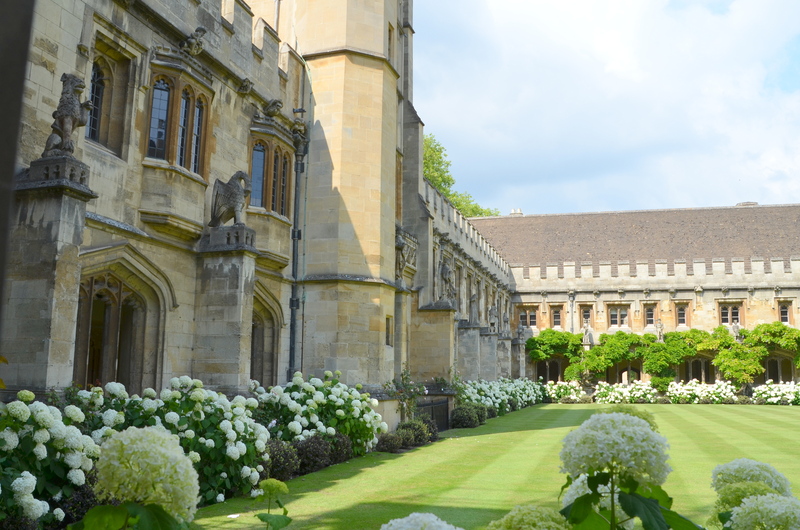 And here’s one of the beautiful courtyards that we took photos of both of these years. 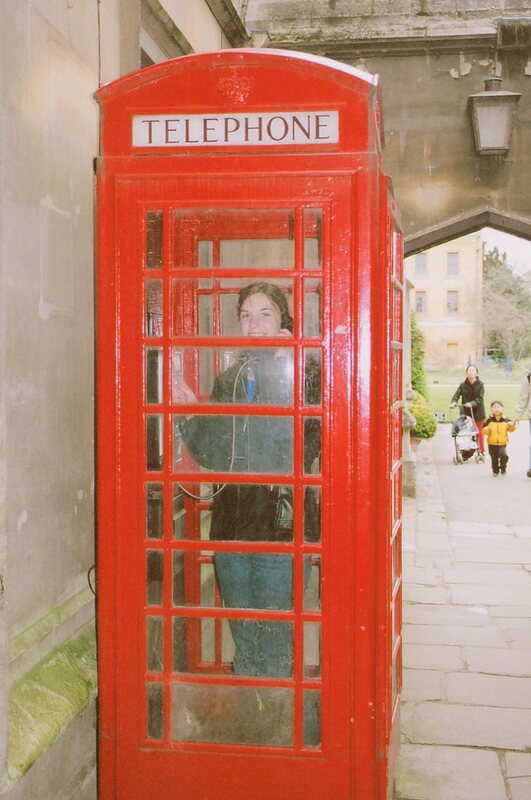 We saw the iconic phone booth on the grounds of Magdalen, too. 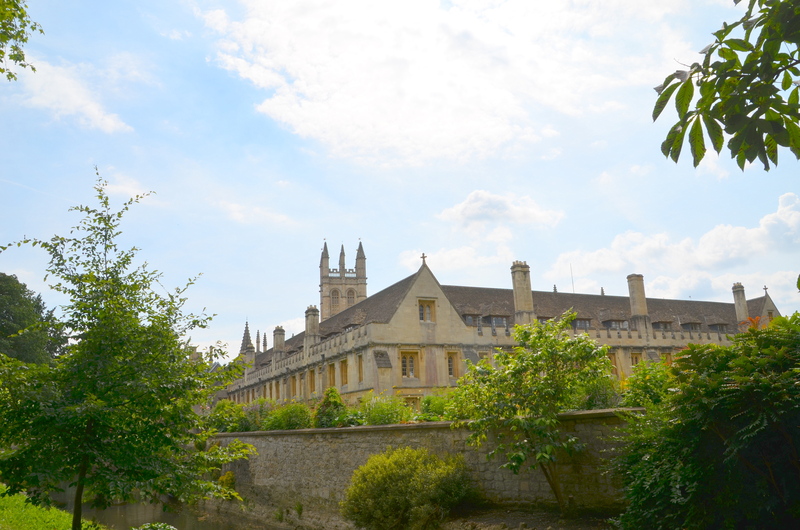 Walking from Magdalen College back to the center of town we saw other familiar sites, too. 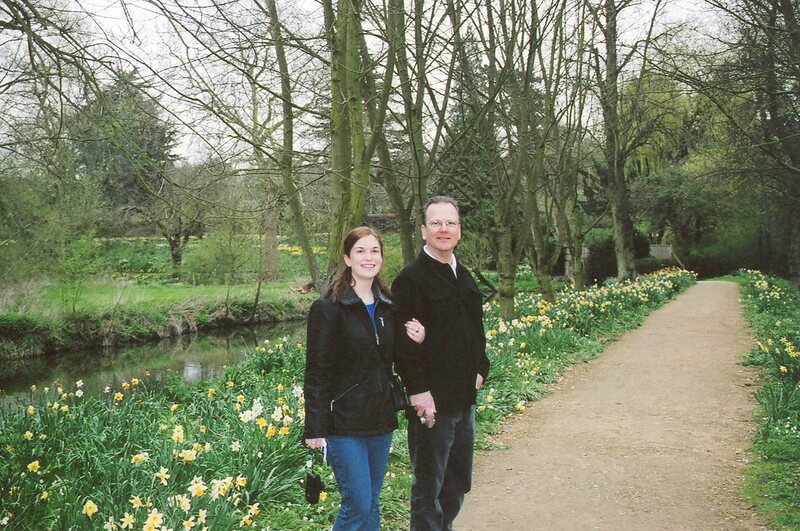 In 2004 when we came across Logic Lane Katie insisted that we take a photo of her dad under the sign. 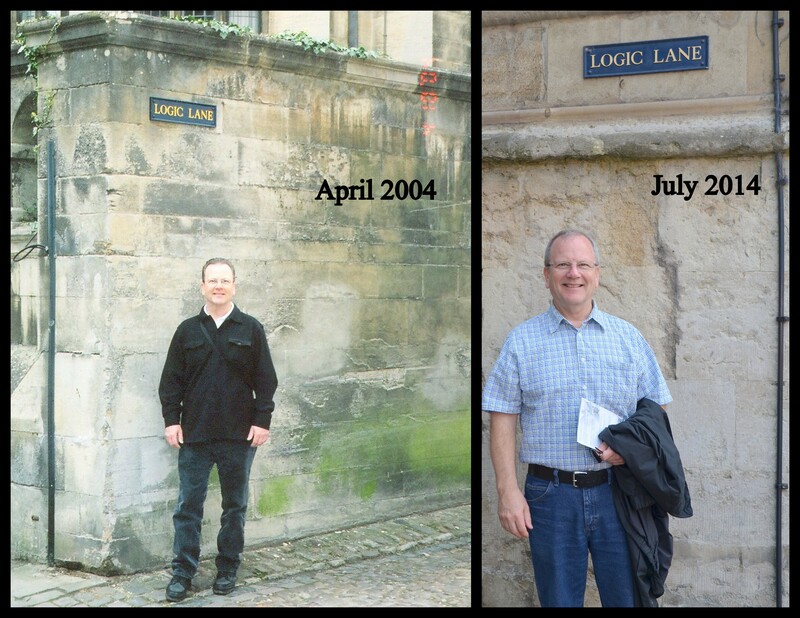 In 2014 we came upon Logic Lane again so I had to take another photo. 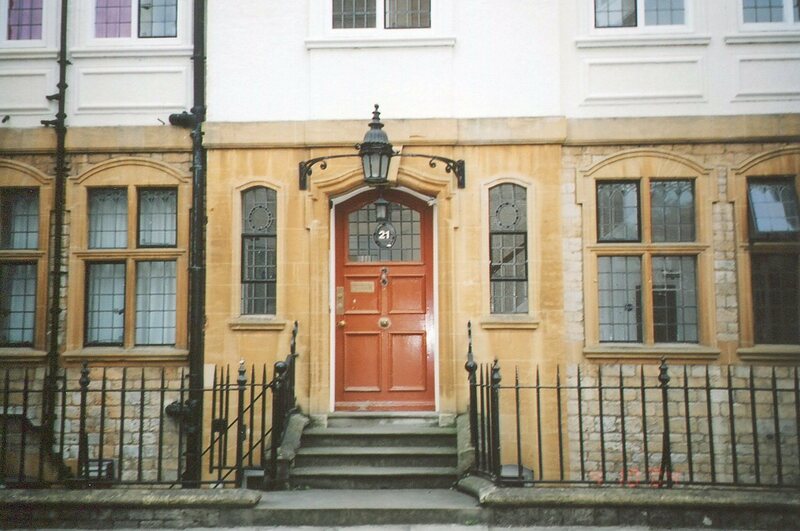 We walked about to find this address where Tolkien lived at 21 Merton St. after his wife died in 1971. 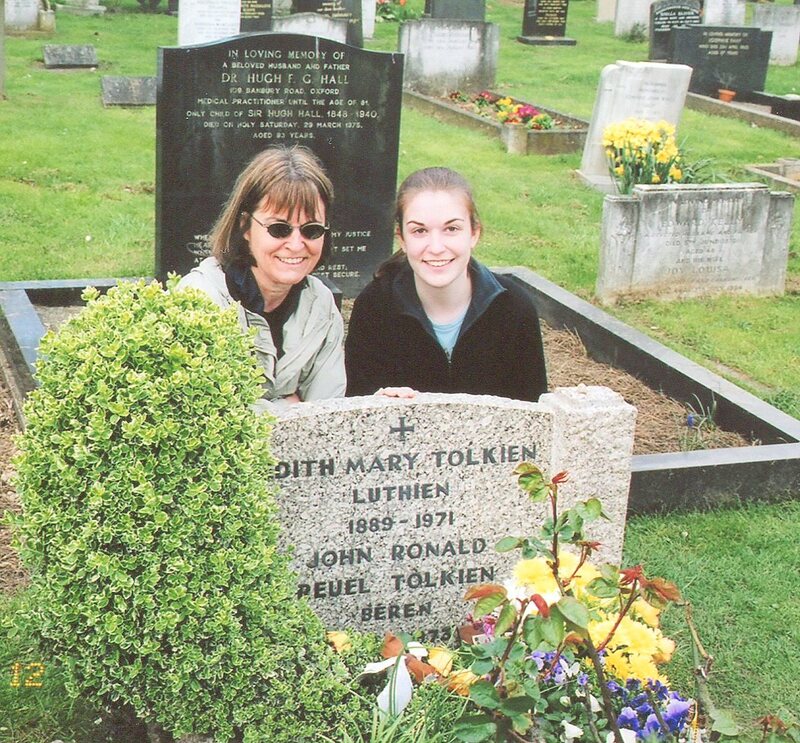 Katie would not let us leave Oxford till we found Tolkien’s grave. This was no small feat! 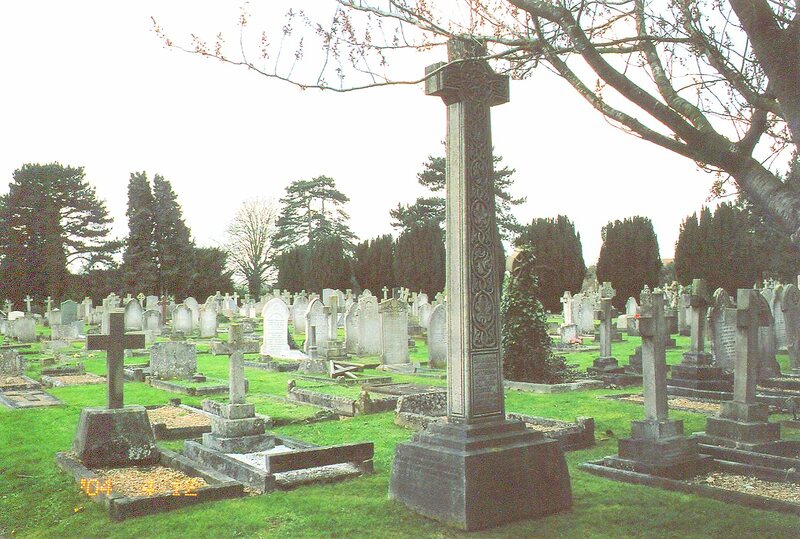 Here we are at Wolvercote Cemetery in North Oxford at the graveside where he and his wife are buried. 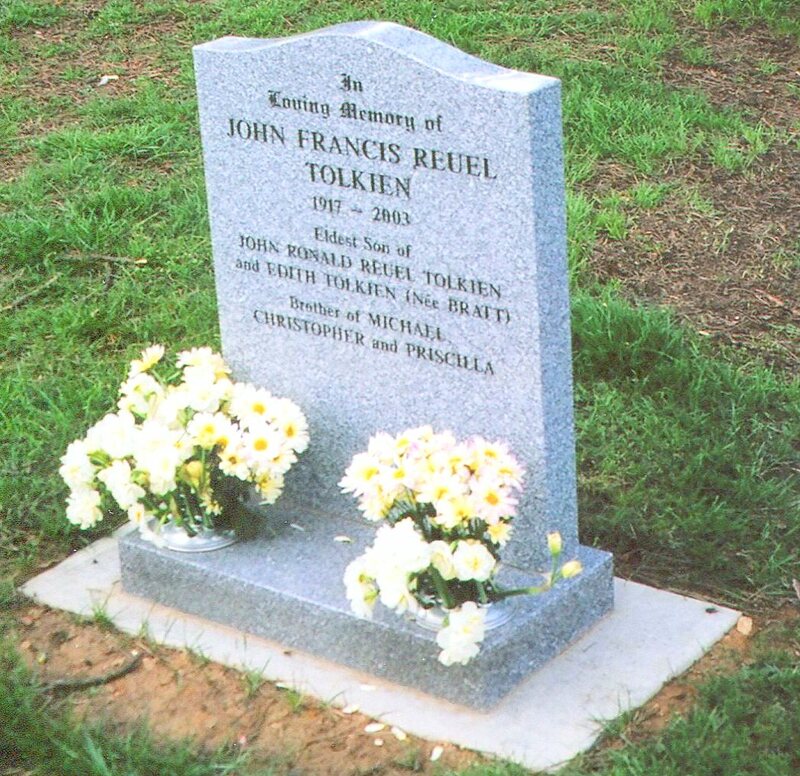 His son is buried here, also. Katie left a note in Elvish, (yes, she learned to write and speak Tolkien’s Elvish). 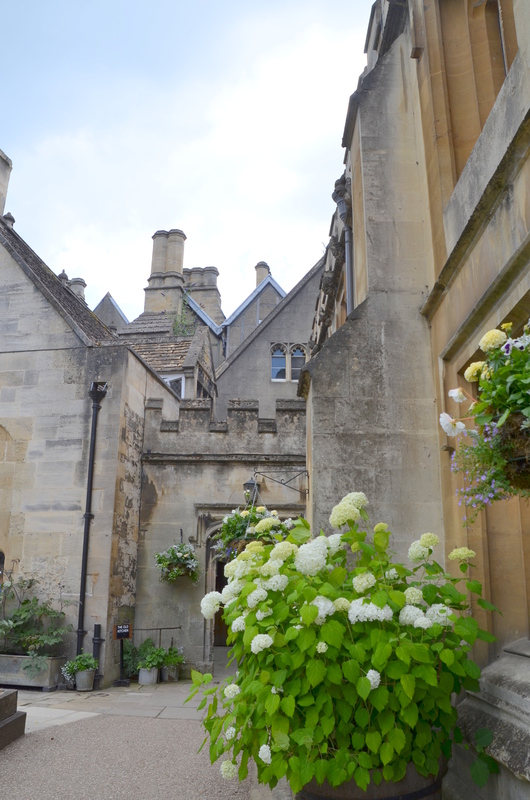 We headed back to our B & B in Cheltenham to rest up for our next days adventure around the Cotswolds in search of Hobbits. The thing about film photography is that we didn’t know if the photos we took even turned out well till we were home and had the film developed. Aren’t you happy we have digital cameras now? You can see if you chopped someone’s head off or missed the top of a beautiful cathedral etc. These photos that I took with film in 2004 were scanned and uploaded onto my computer and in a lot of cases lightened up and sharpened and sometimes cropped. I’m linking this post to ABC Wednesday started by Mrs. Nesbitt and carried on by Roger and the ABC Team. F is for film photography. 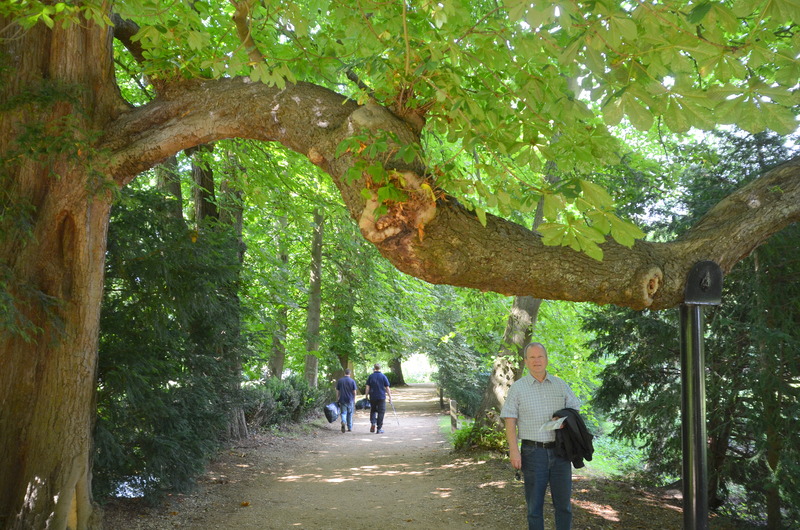 I’m also linking to Tuesday’s Treasures hosted by Tom the Backroads Traveler. We are already on the letter G for ABC Wednesday! 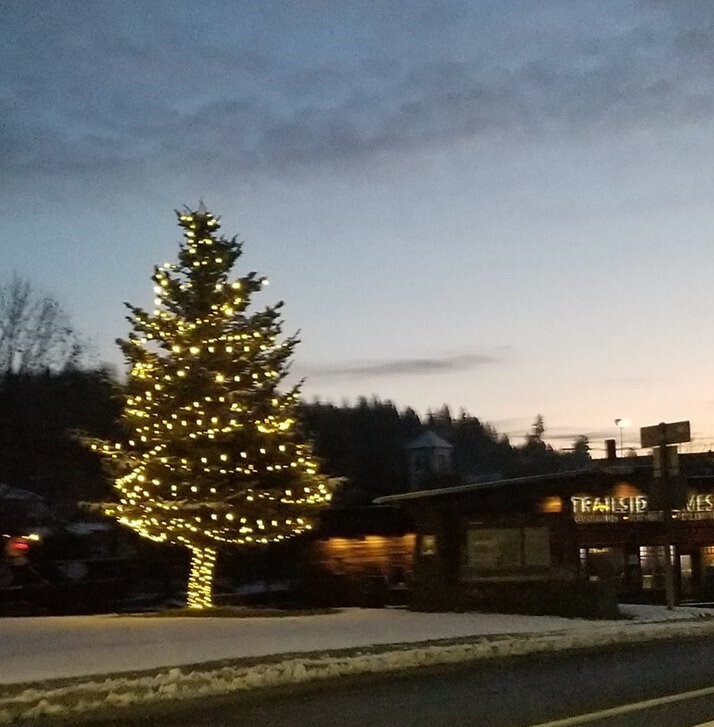 Thank you to Denise Nesbitt and the ABC team! 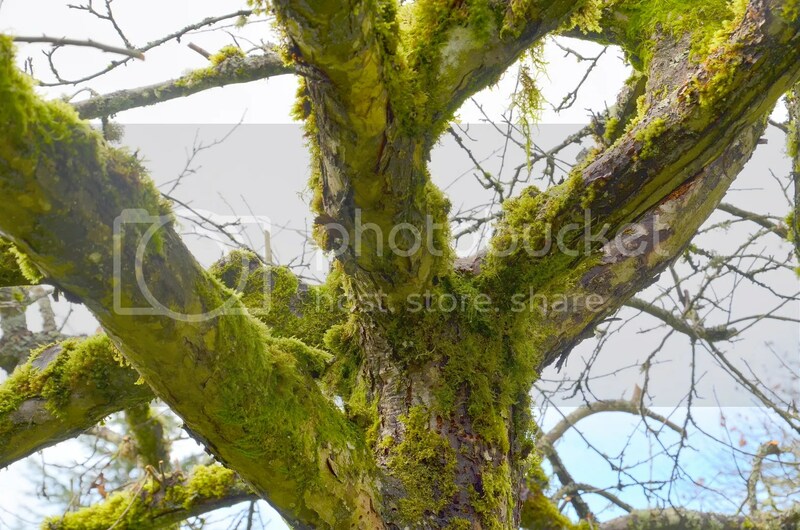 I’m going with Green and Gargoyle for the letter G. Green moss is something that we have quite an abundance of here in the great Northwest. 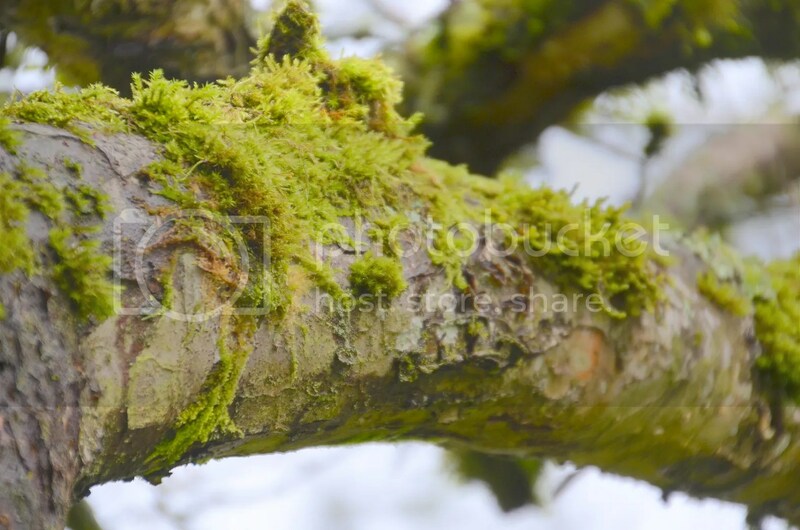 Our apple tree is covered in moss. 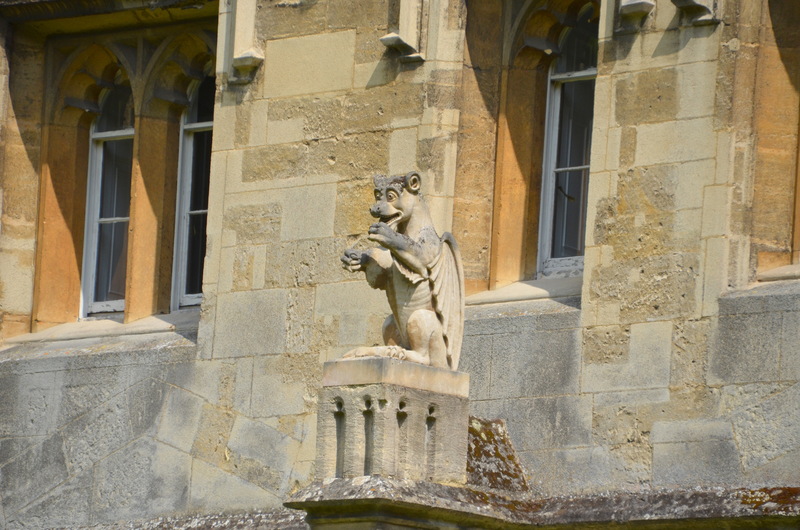 On our trips to Great Britain we enjoy looking up to see the Gargoyles that are here and there. 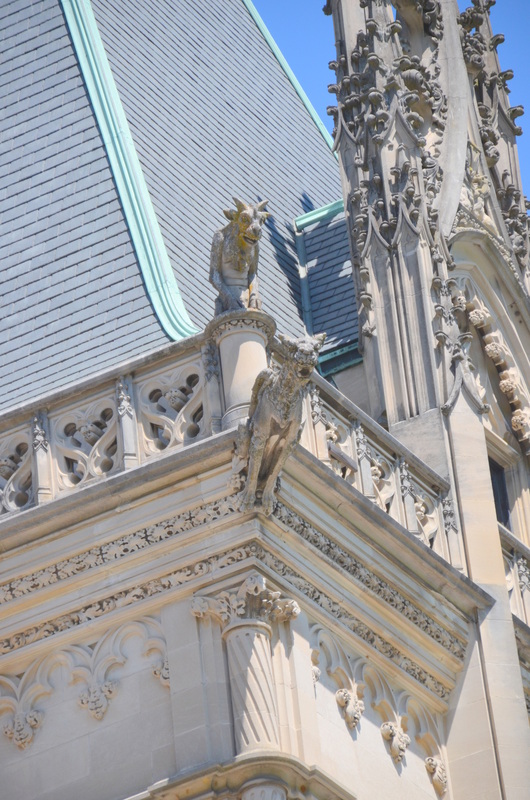 We have gargoyles here in the U.S.A., too. My daughter and I toured the Biltmore House and Gardens and these creatures looked down on us. 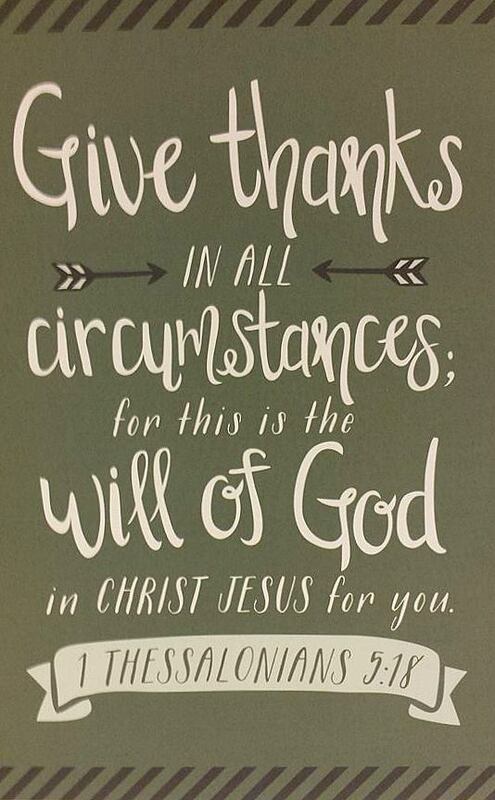 One last addition to the letter G is my Bible verse card for the week. Timely indeed because of the letter G and because of present circumstances! 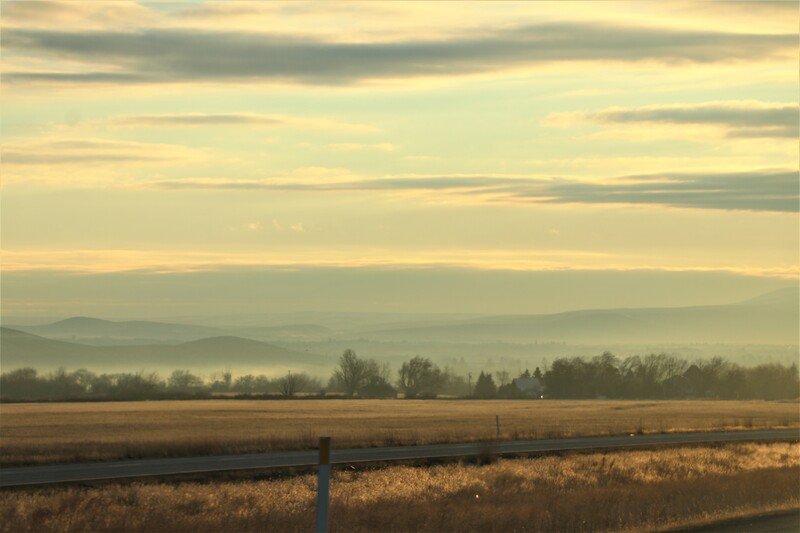 Hope you are enjoying the last week of February. 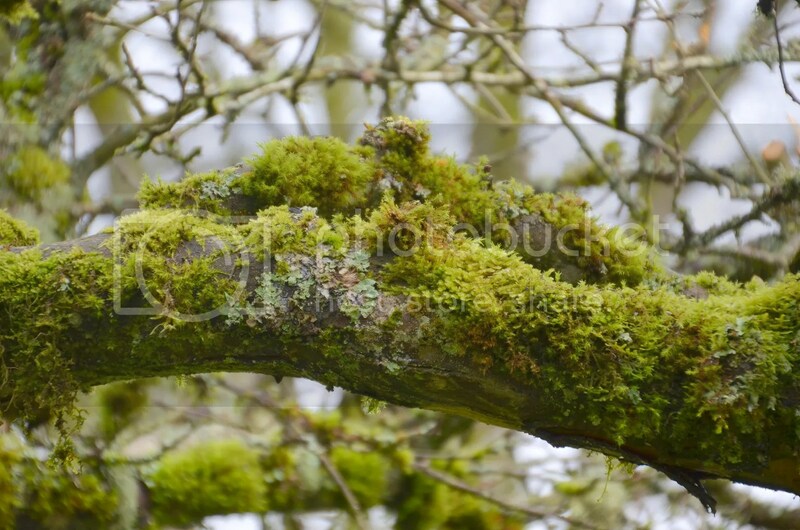 So many of you are enduring some harsh winter conditions and I hope things settle down to a more mild clime. 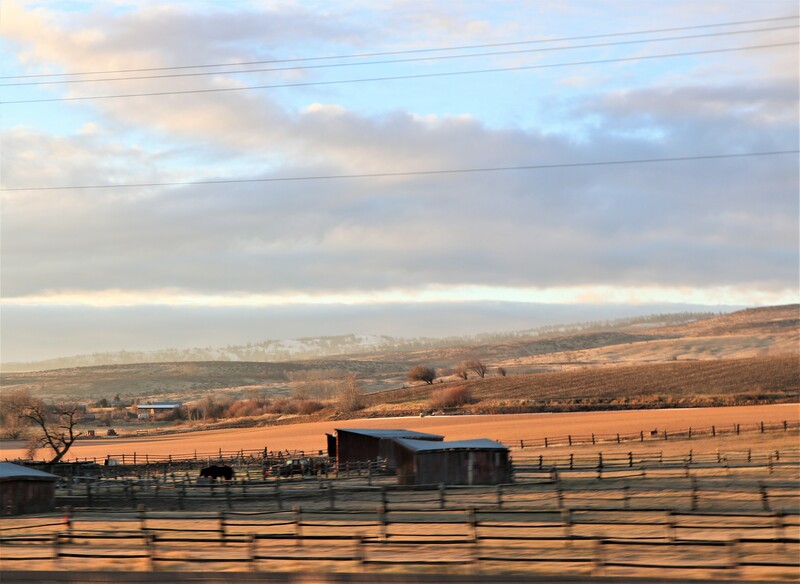 We have some rain in the forecast again here in the Northwest after enjoying several dry sunny days. 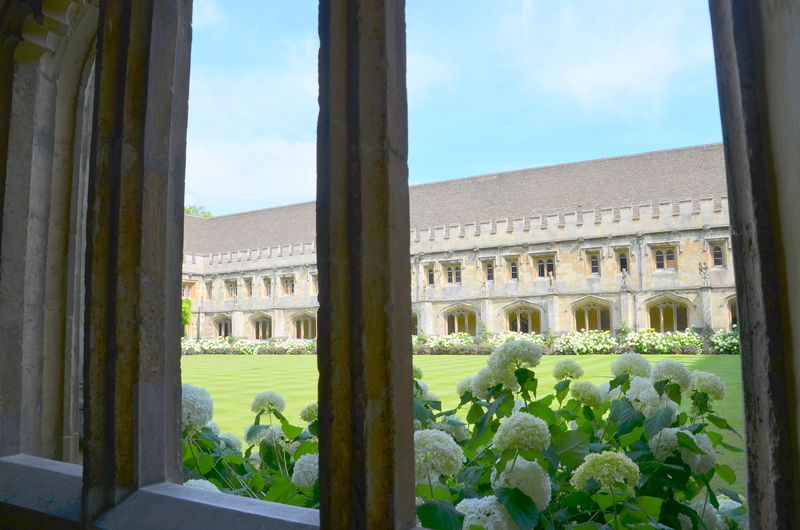 The 15th Century Cloisters construction commenced in 1474 which makes this medieval square of stone among the oldest parts of Magdalen. 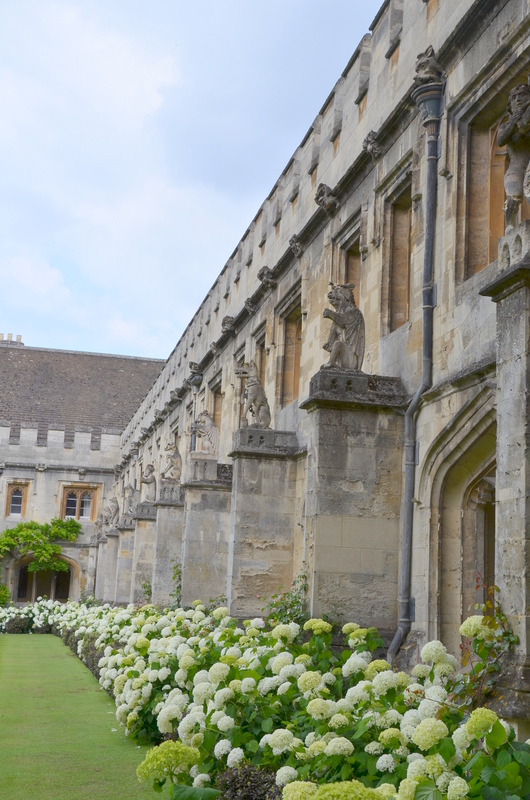 Balancing on the buttresses that jut from the Cloister walls are the figures later known as ‘hieroglyphics’, the ‘GARGELS”, Magdalen’s very own gargoyles. Some are biblical, some heraldic, all symbolic. 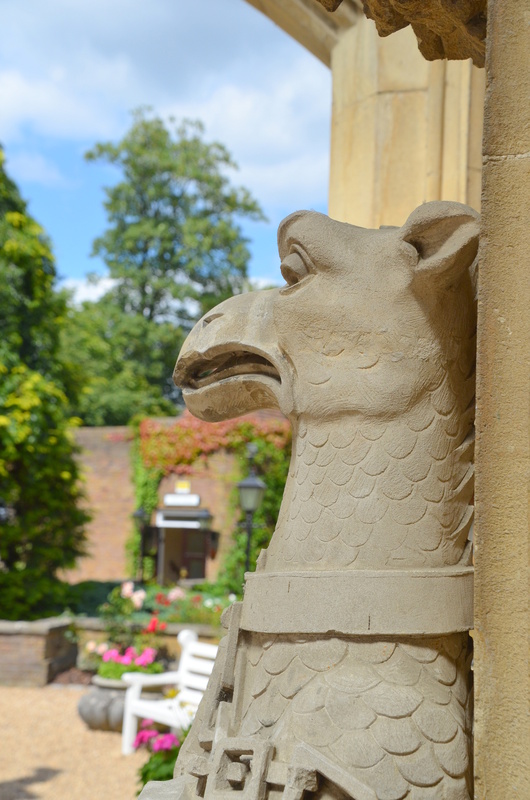 Since they entered the College in 1508-9 they have been keeping their emblematic eyes on the comings and goings in the Cloisters and the quad. Wanted to let you all see that we did “keep off the grass”. From the Cloisters we headed out to Addison’s walk and the New Building following the footsteps of Tolkien and Lewis along one of the paths that leads to the famous meetings of the “Inklings”. 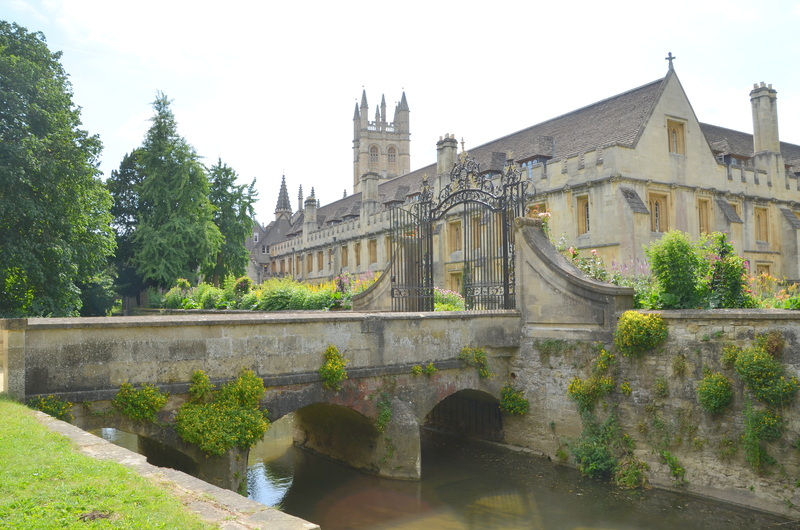 As you can tell from my posts from Oxford there is a lot to see in this city. 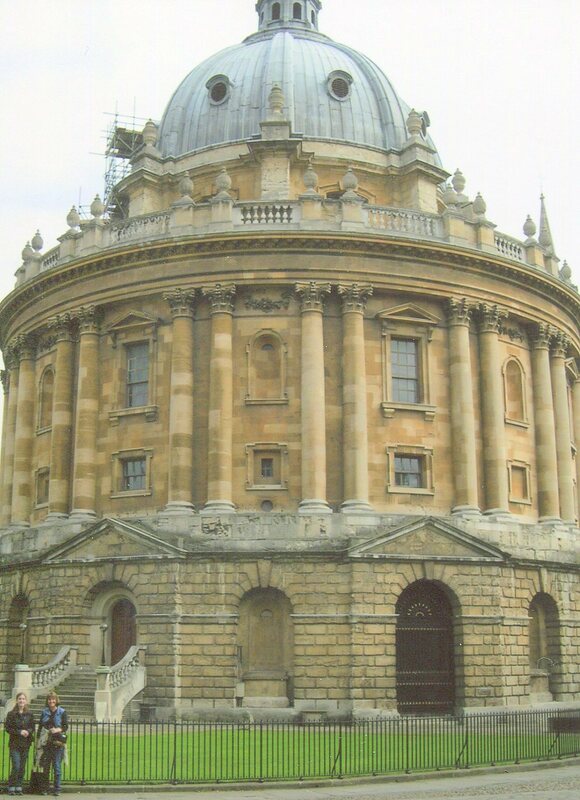 I still haven’t shown you photos from Bodleian and Radcliffe Camera or the University Church of St. Mary the Virgin. 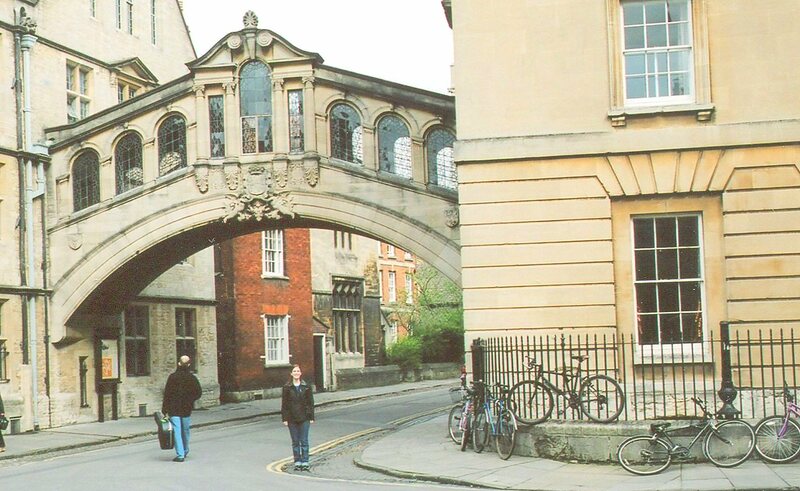 These places have been seen in many Masterpiece Mystery series and scenes from Harry Potter movies, too. 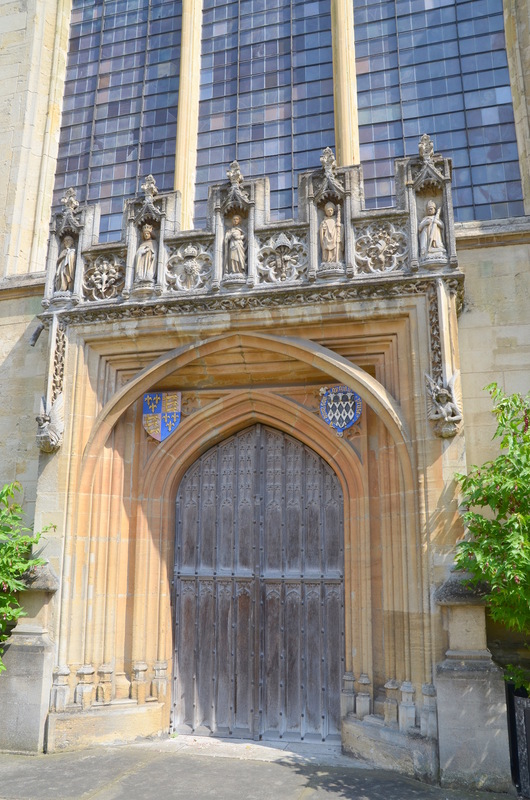 My last post of Oxford will be photo heavy. We have Fleet week and SeaFair and Hydro races and the Blue Angels in Seattle this weekend. 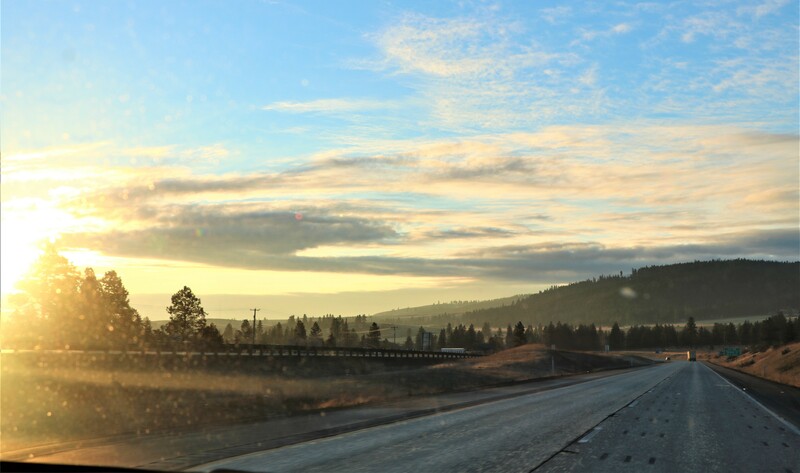 What does the first weekend in August hold for you? 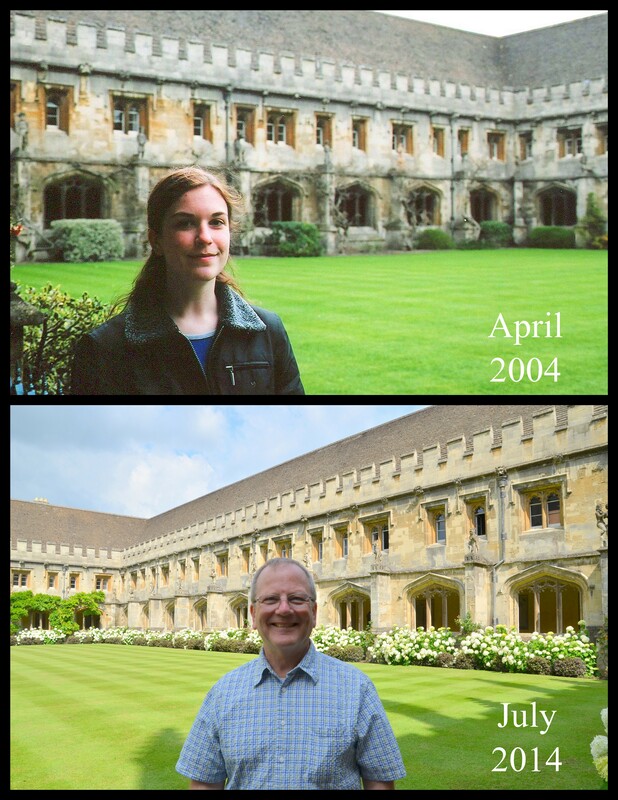 We visited Magdalen College with our daughter Katie in 2004 and we were happy to re-visit the buildings and grounds this past July. 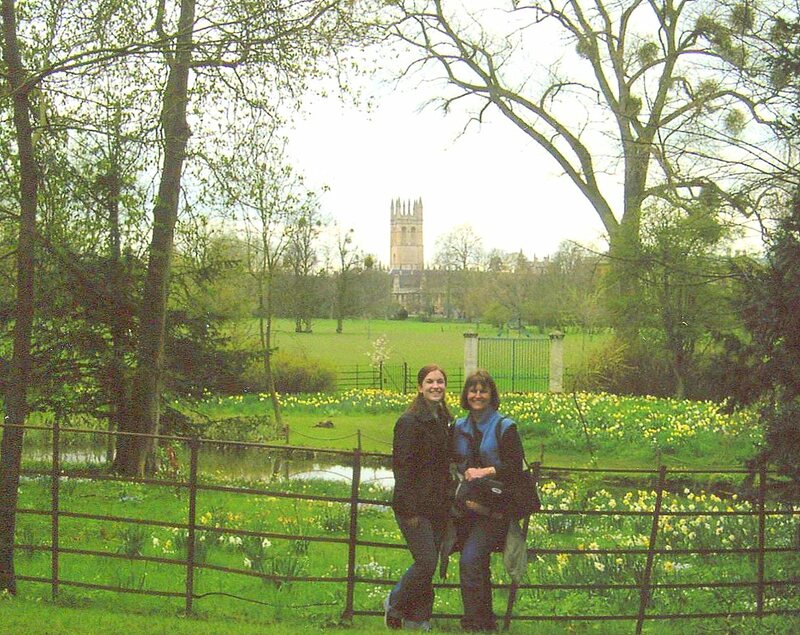 What drew us to this college in 2004 was the information we read about Tolkien and C.S. 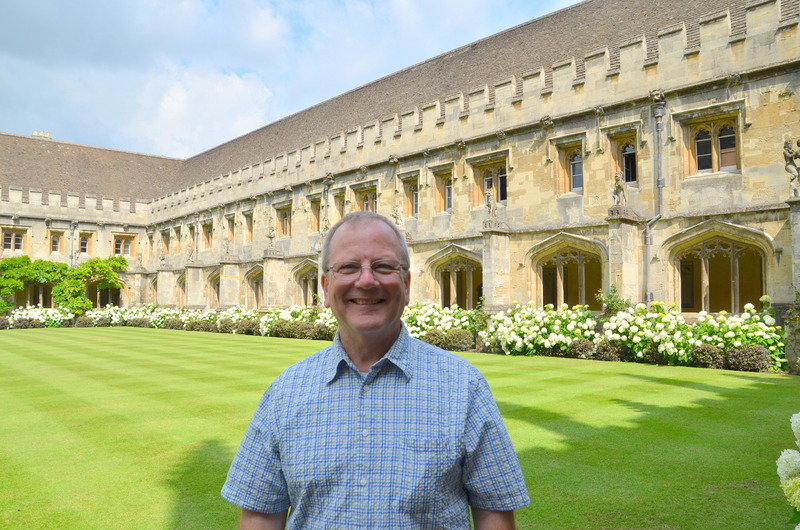 Lewis enjoying walks and theological discussions here and along Addison’s Walk. 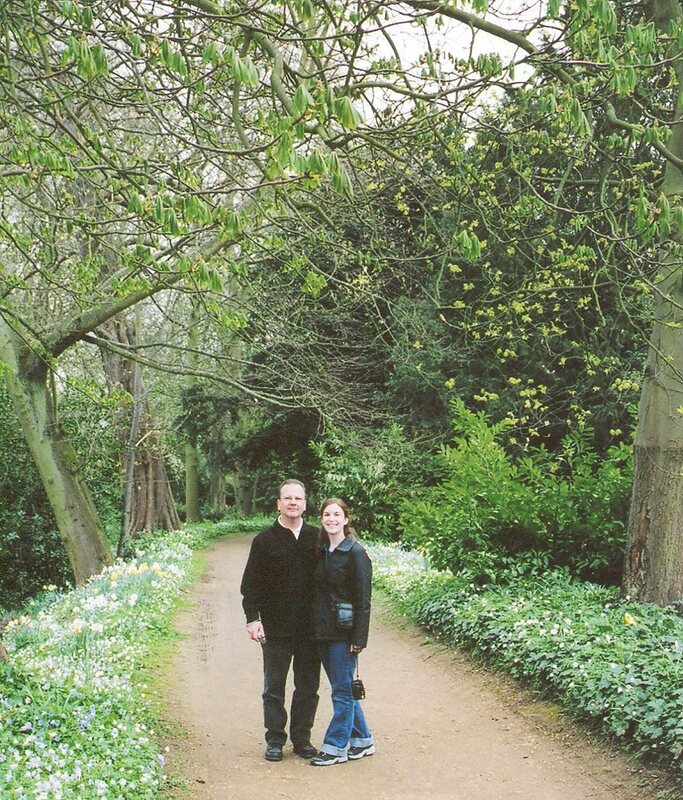 We wanted to walk along that path, too. 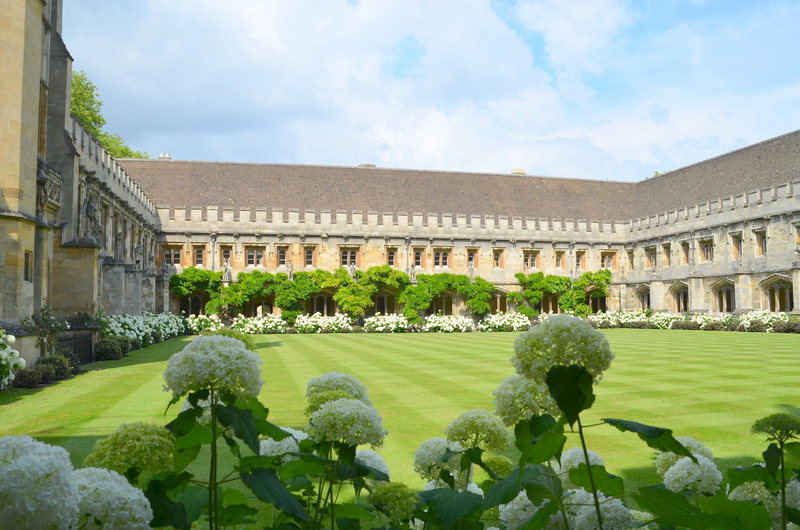 Magdalen College was founded just outside Oxford’s City walls in 1458 by William Waynflete. 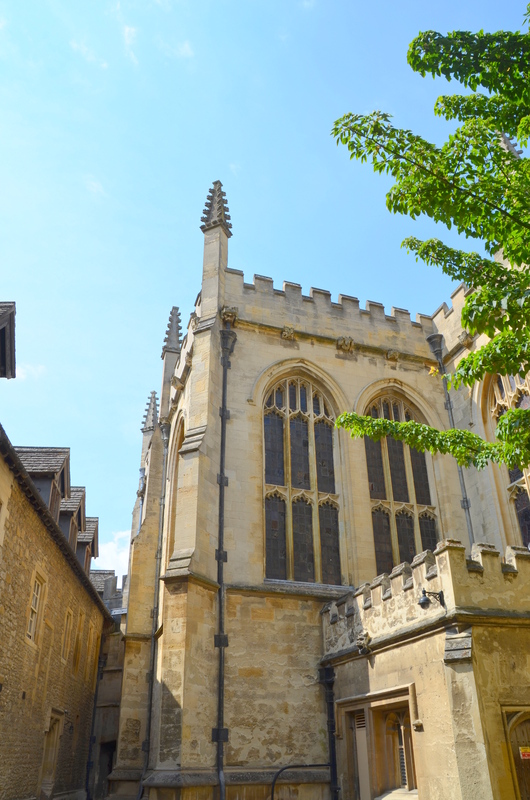 The chapel was begun in May 1474. 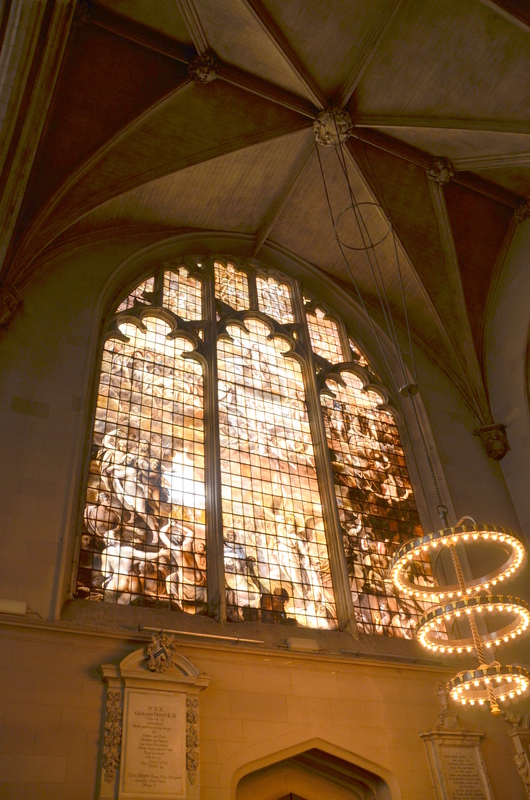 The remarkable West Window of the Antechapel is a dramatic depiction of the Apocalypse and the judgement of souls. 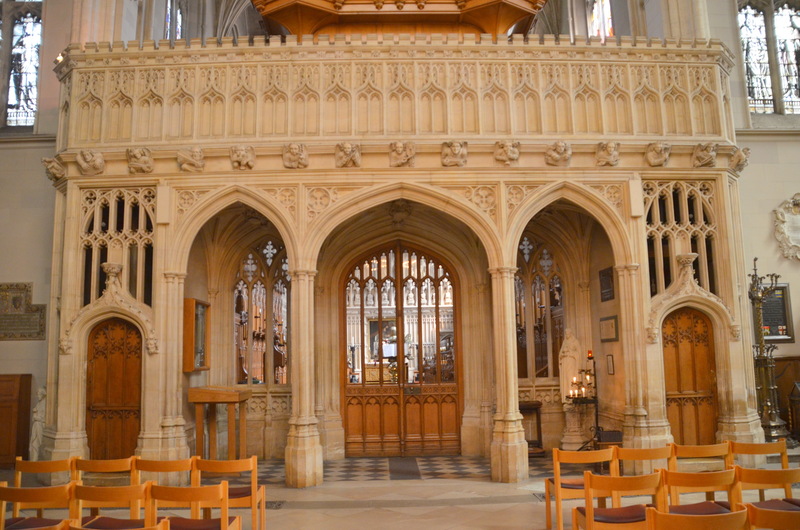 This vision was cast in 1637 but has been subjected to subsequent restorations, the re-glazing in 1859-1861 leaving the windows as they appear today. Above the stalls hangs Giampetrino’s remarkable 15th copy of Leonardo da Vinci’s The Last Supper, on permanent loan from the Royal Academy. 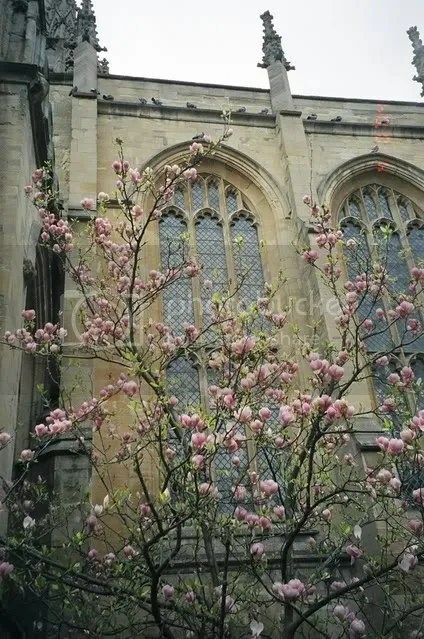 In view of the bad condition of the original fresco in Milan, (which I had the privilege of seeing in March of 2013) Magdalen’s copy on canvas is a piece of increasing historic and artistic significance. In 1635, the repaving of the Chapel floor in a pattern of black and white marble tiles. The doors to the main Chapel were locked so I had to get these photos by looking through the glass on the doors. 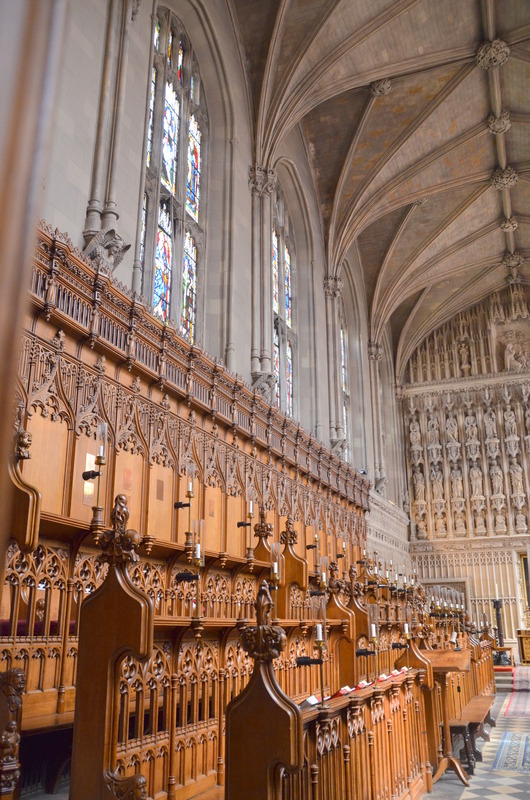 The choir sings from the middle stalls at either side. 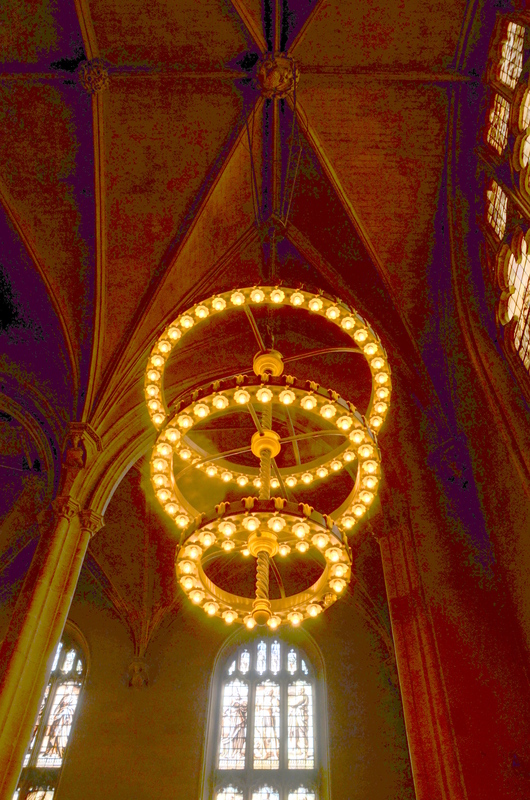 Towards the end of the 19th century the Choir achieved renown and played a pivotal role in ensuring an unprecedented fondness of carol singing among the general public by the publication of an anthology of carols. 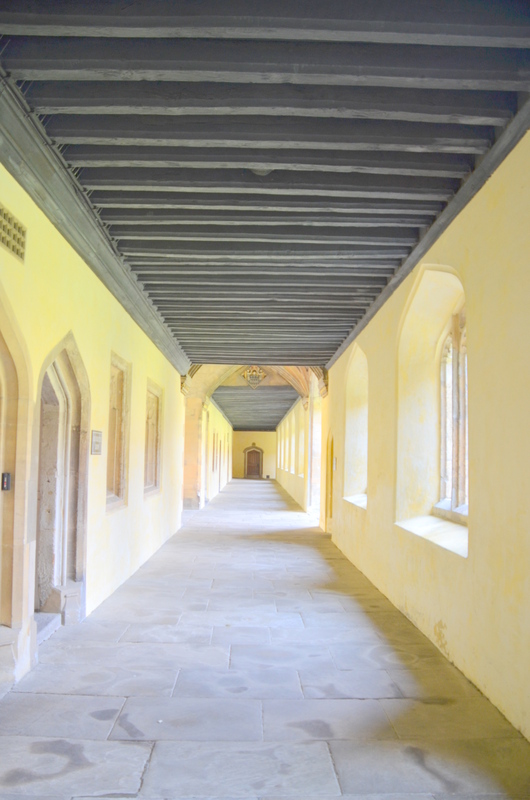 This is the Hall which was built at the founding of the College. 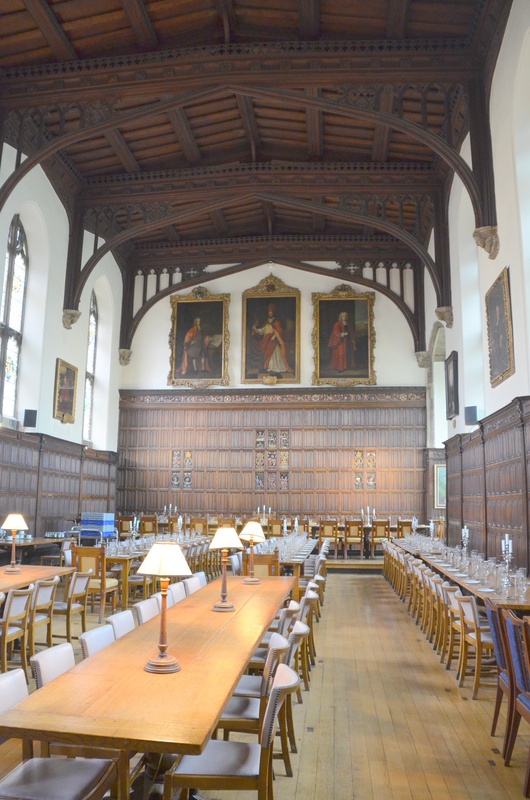 The High Table at the far end seats the President, Fellows and formal guests, just as it did in the early 16th century when it welcomed King James I. Oscar Wilde was a fromer member of Magdalen. 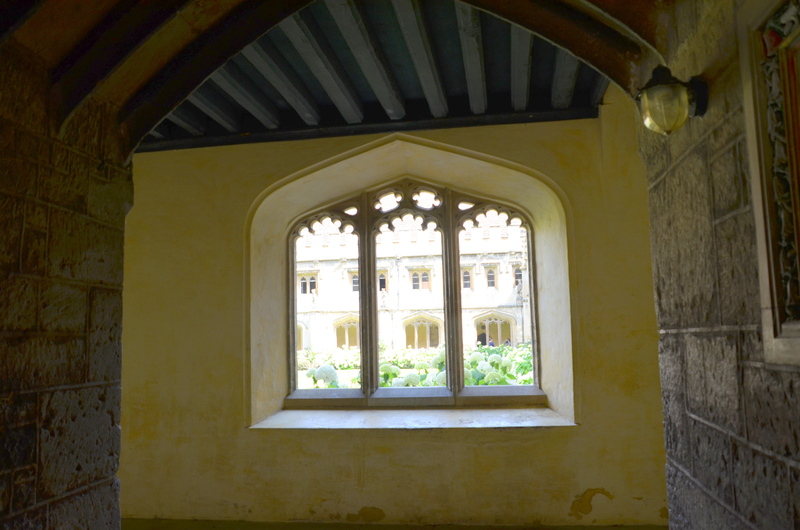 This post is getting long so I will do another post with photos from the Cloisters and some outdoor spaces.